For the marinade: Mix together the Honey-Ginger White Balsamic, brown sugar, minced garlic, sea salt and Dark Toasted Sesame Oil. 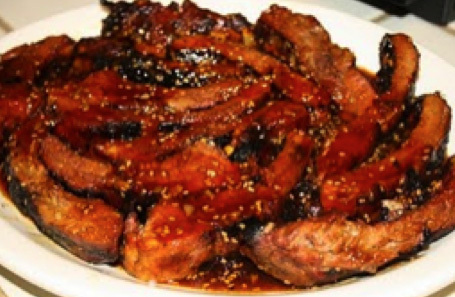 Coat the ribs with the marinade and allow to marinate in a sealed container or large zip lock bags for a minimum of 12 hours or overnight, turning a few times. For the Glaze: Combine the Honey Ginger White Balsamic, honey and soy sauce in a small sauce pan over medium heat. Allow to reduce by half and remove from heat. Add one teaspoon of Dark Toasted Sesame Oil to the mixture and stir to combine.